This fun, enlightening book features 401 everyday activities to help you become a better person and make a positive impact on the people around you. 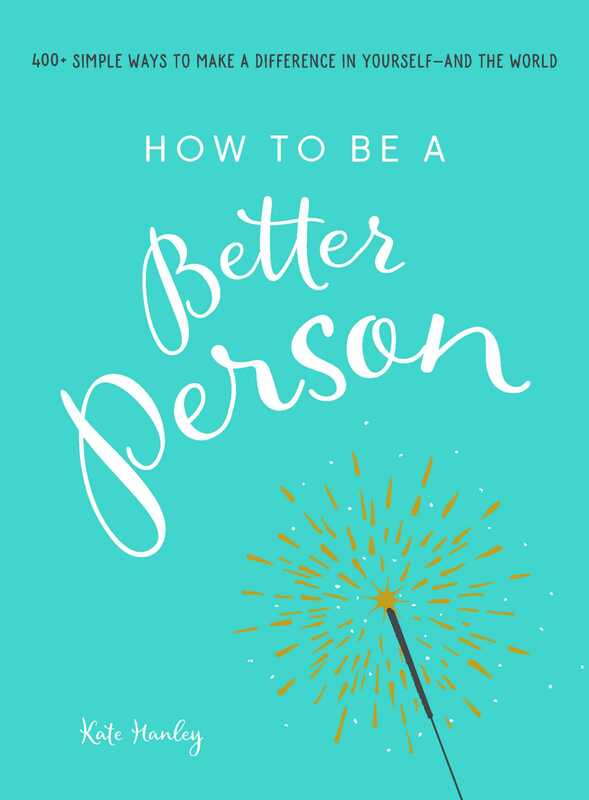 How to Be a Better Person is a unique and practical guide that can help you easily turn your good intentions into meaningful actions. Each activity serves as a daily inspiration for you to make a positive impact in your home, community, and relationships. With exercises designed to foster cheerfulness, kindness, generosity, gratitude, acceptance and inclusion, integrity, and honesty, you can learn how easy it is to be the person you’ve always wanted to be. "For Hanley being a better person means having more sympathy, more courage, and the willingness to do the right thing. Reading and applying Hanley’s tips are delightful ways to begin turning intentions into actions. Recommended for anyone who wants to make a positive difference in the world." "A treasure … with wit, insight, and practicality. Kate writes to us as equals on the journey … ideal if you have a bedtime ritual that includes reflecting on your day … .We can take kind, consistent steps towards putting sleep first in our lives using the guidelines in How to Be a Better Person. This little book holds an abundance of advice and practices that range from making a ‘date with your muse’ to how many squats to do each day."